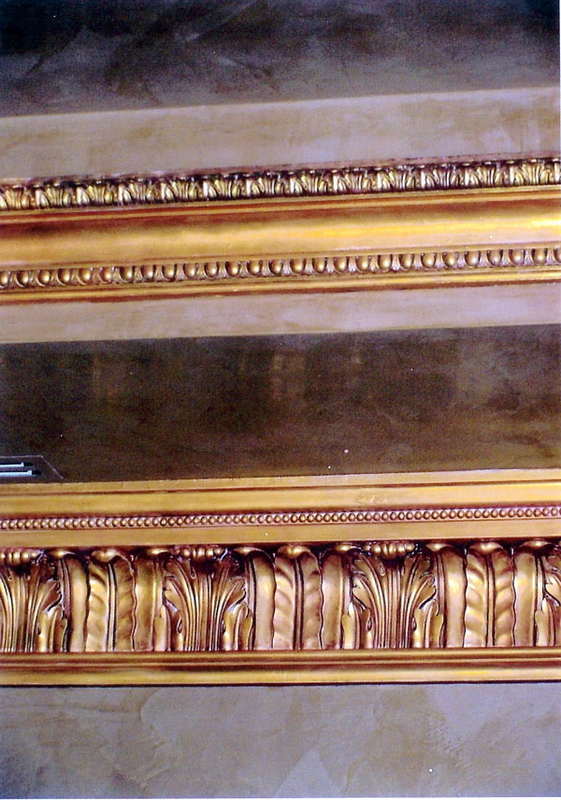 Gold leaf applied to crown molding and then highlighted with india ink. Walls and ceiling are fauxed. 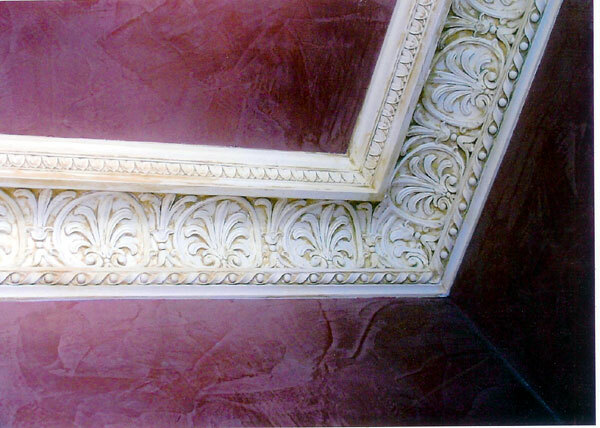 Plaster Crown Moulding Antiqued to match vintage venetian plaster walls and ceiling. 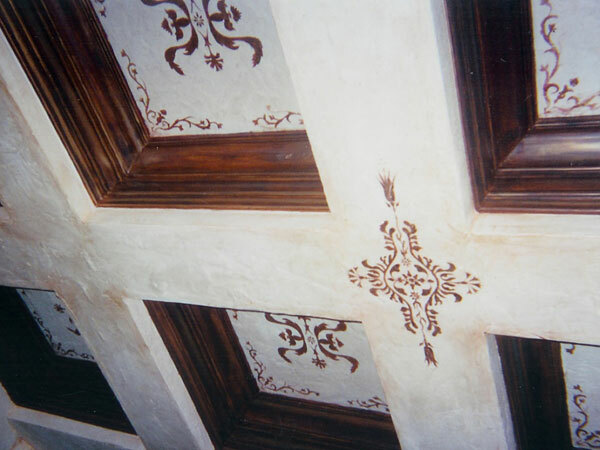 Stencils created to match textile prints applied to antiqued coffers. 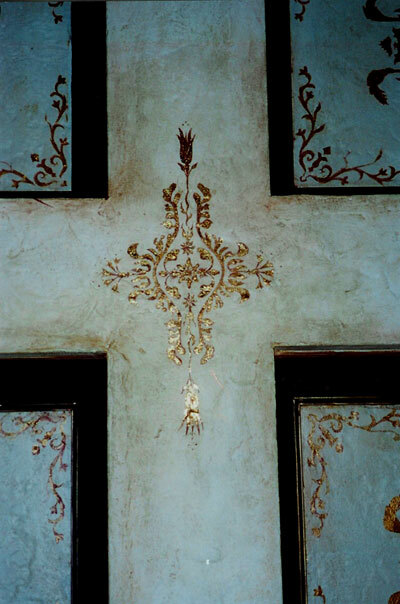 Finished with gold leaf. Close up below.